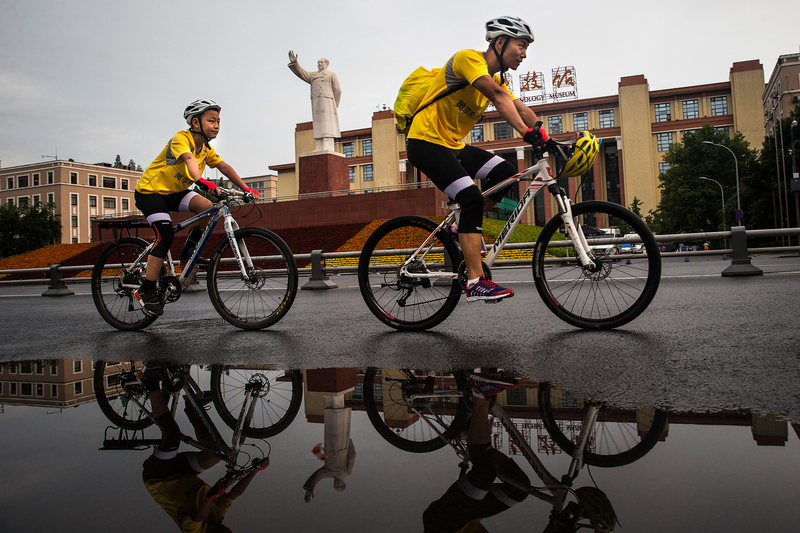 Wang Chao, 42, and his 12-year-old son, Runxi, kick off their Chengdu-Lhasa bike trip at Tianfu Square in Chengdu, Sichuan province, July 15, 2017. 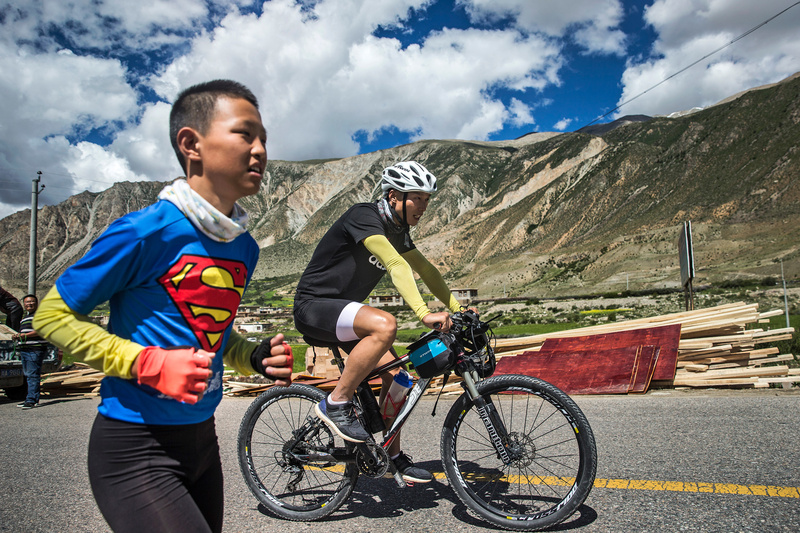 Over the next 23 days, the father and son will bike 1,300 miles along China National Highway 318, climbing 10 mountains with an elevation of more than 13,000 feet. Chao and Runxi bike on 16,000-foot-high Mount Zheduo, in Garze Tibetan Autonomous Prefecture, Sichuan province, July 19. Their route crosses a pass at 14,071 feet. Chao applies sunscreen to Runxi’s face on Mount Erlang, in Tianquan county of Ya’an city, Sichuan province, July 17. Their route that day traverses the mountain through a 2.6-mile tunnel. Feeling thirsty, Runxi drinks water from a pipe on the side of the highway, in Xinduqiao town, Garze, Sichuan province, July 20. Locals install these pipes to channel water from mountain springs so that they can set up roadside car washes. After an entire day biking, Chao helps Runxi stretch in a motel in Ya’an, July 15. Runxi’s mother and Chao divorced when Runxi was three. Since then, Runxi has lived with his father and grandmother. 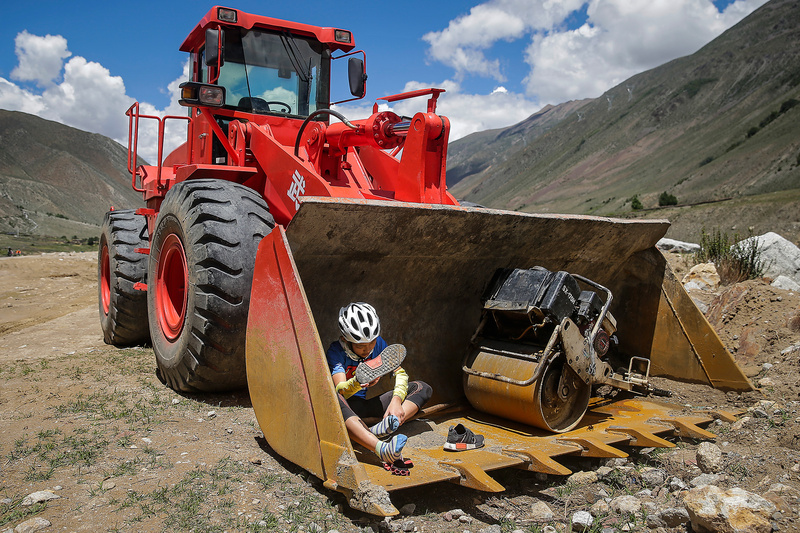 On the fifth day of the trip, Runxi rests on the side of the road because he is chafed from so many hours on his bike seat, in Zheduotang, Garze, Sichuan, July 19. The father and son have pledged to bike the entire route, without riding in any automobiles. So, bearing the pain, Runxi keeps going with his father. Chao applies Vaseline to Runxi’s irritated skin before they depart for the sixth day’s ride, which lasts for nine hours and 50 miles, July 20. Chao has Runxi wear diapers to help relieve the pain, July 18. On the 10th day of their trip, Chao and Runxi enter Tibet. 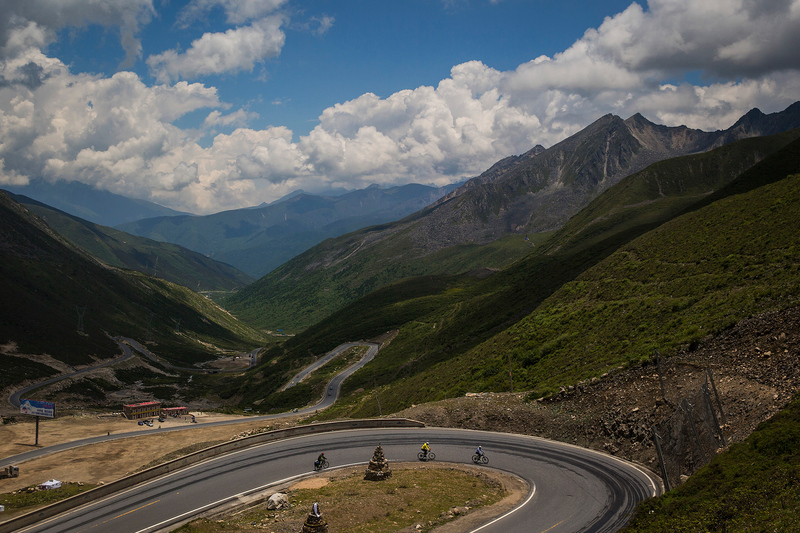 They bike 68 miles in 10 hours from Batang county in Garze, Sichuan to Markam county in Tibet’s Qamdo Prefecture, July 24. This part of the route is in very poor condition due to frequent landslides. 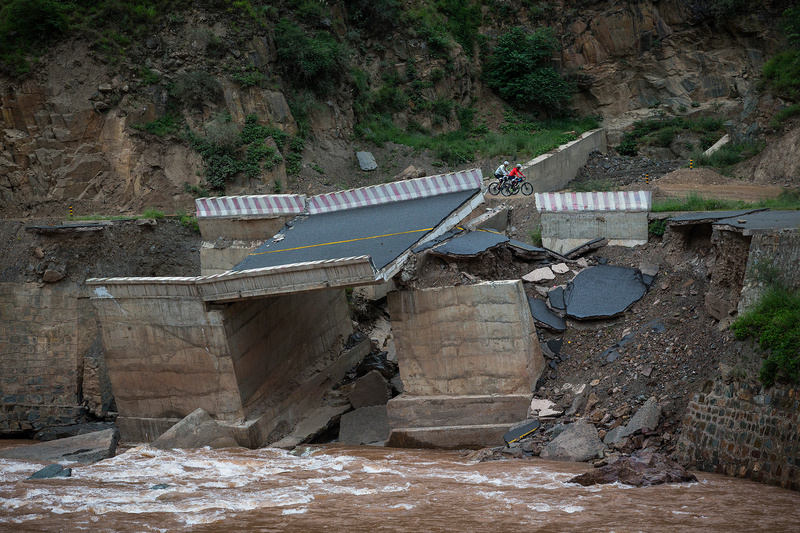 Just 20 days earlier, a section of road collapsed, stranding more than 600 people, including many bikers. Another challenging location on the route is known as the Nu River 72 Turns, a series of treacherous switchbacks in Qamdo, where the road climbs from 13,451 feet above sea level to a high point of 15,259 feet, before dropping back down to 10,170 feet, July 29. There are also relaxing moments on the trip. One evening, Chao and Runxi find a natural hot spring where they take a bath, in Zheduotang, Garze, Sichuan, July 18. Chao and Runxi help an injured biker in Lhasa, Tibet, August 6. Runxi finds some shade to adjust his sneakers, in Baxoi county, Qamdo, July 30. 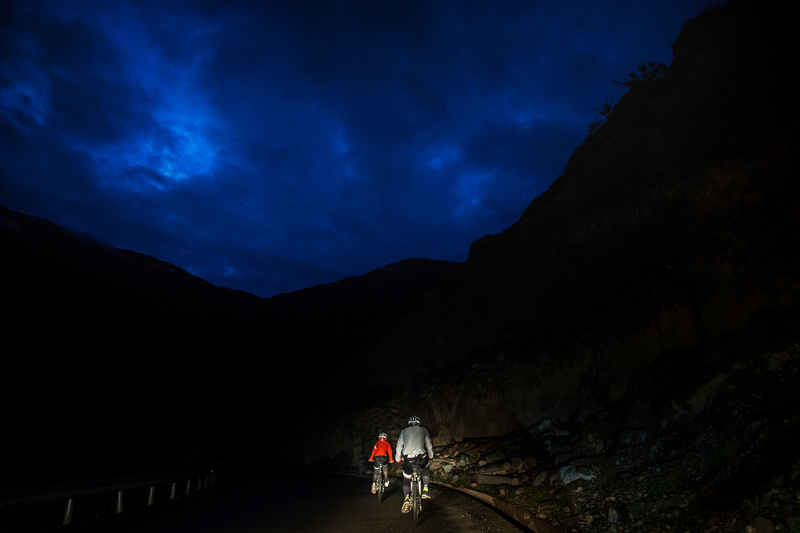 In order to cross a bridge which will be closed later in the day, Chao and Runxi get up at 5:00 a.m. to start the day’s ride, in Rumei township, Qamdo, Tibet, July 26. West of Rumei township is Mount Jueba. It’s not the highest mountain on the route, but it’s one of most difficult and takes the longest to pass. Its windy 18-mile road climbs 6,561 feet. Many parts of the road are narrow and run along a sharp cliff but have no guardrail. Chao and Runxin rest on Mount Jueba, July 26. 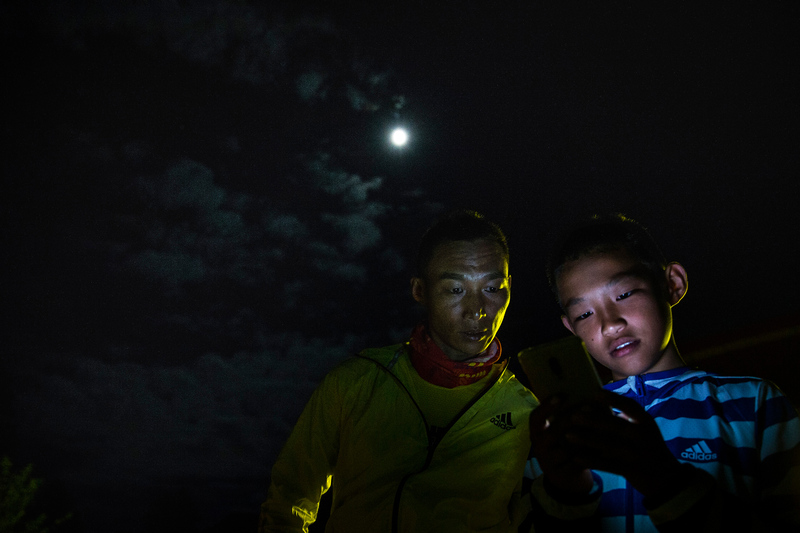 Runxi uses his dad’s phone to try to find a hotel for the night, in Guxiang Village of Nyingchi city, Tibet, August 1. On the 16th day of the trip, on the way from Baxoi county to Rawu town, in Qamdo, Chao’s bike chain broke, July 30. Unable to fix it, they ask a car to take the bike to a shop 124 miles away to be repaired. Chao and Runxi take turns riding Runxi’s bike every one and half miles. While one bikes, the other one runs, at an altitude of over 13,000 feet. They do this for 12 miles until an injured biker lends them her bike. Runxi eats instant noodles in Luding county, Garze, Sichuan, July 18. Because restaurants and food in general are scarce along their route, Runxi and Chao eat a lot of instant noodles, and have them at least 15 times over the course of the 23-day trip. 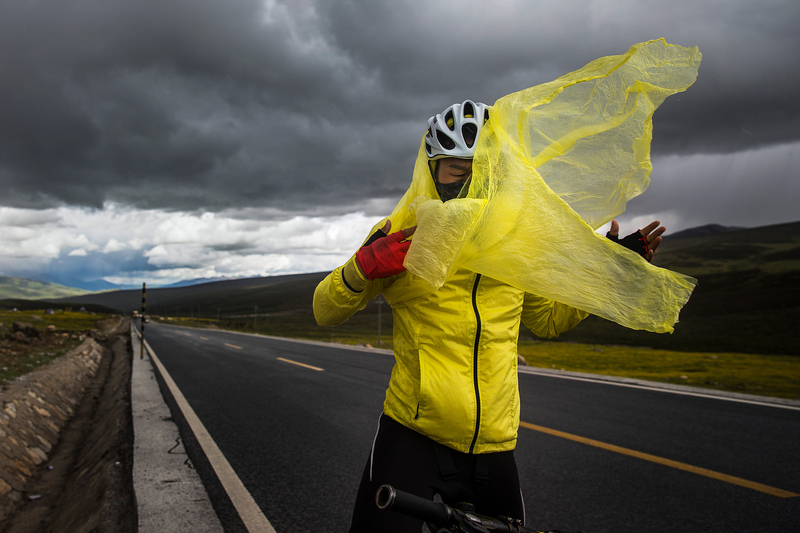 Chao puts on a poncho during a sudden rain and hail storm on Mount Haizi, elevation 15,000 feet, in Litang county, Garze, Sichuan, July 23. 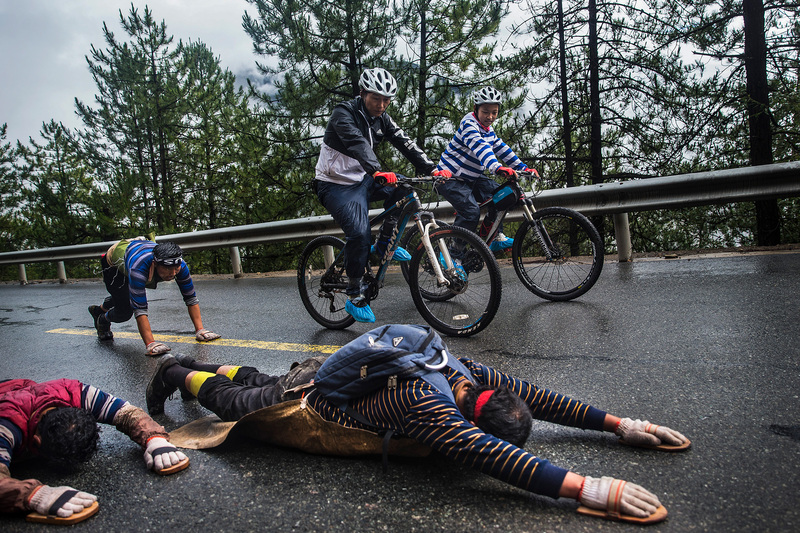 Chao and Runxi ride past a group of Tibetans performing ritual prostrations on a five-month pilgrimage to Lhasa, on Mount Jueba, in Qamdo, July 26. Chao and Runxi enjoy the view of Mount Jueba, July 26. The last mountain on Chao and Runxi’s route is Mount Mila, which rises at the border of Nyingchi and Lhasa. In order to reach Lhasa by sunset, Chao and Runxi get up at 5:00 a.m. to start the last day’s ride, which is 114 miles and takes 12 hours. 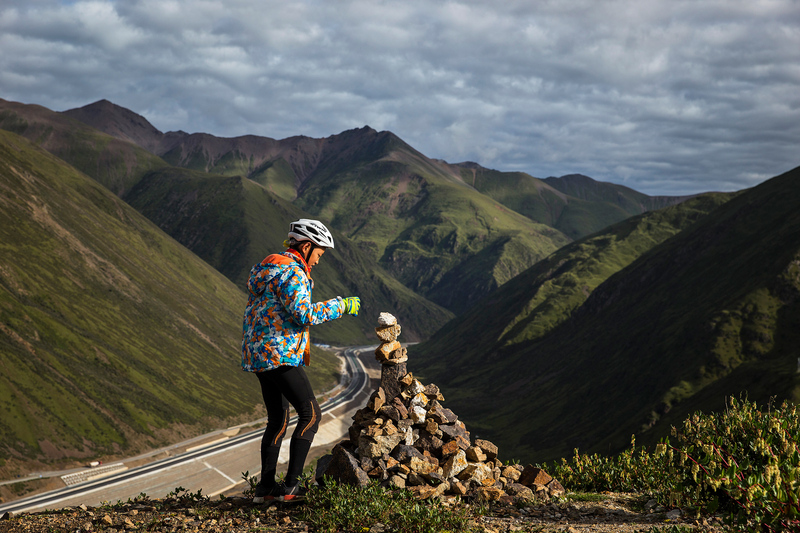 On Mount Mila, Runxi places a stone on a cairn, August 6. 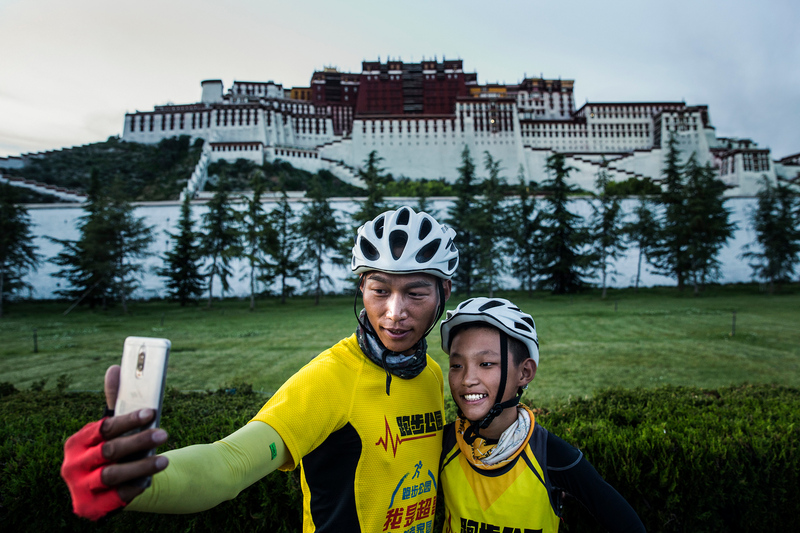 Chao and Runxi take a selfie in front of Potala Palace, the end-point of their 23-day bike trip, August 6. The video that accompanies this slideshow was shot by Wang He and was co-produced by ChinaFile and Quartz. It was photographer Wang He’s second time on the Tibetan Plateau. The first hadn’t gone so well—Wang had ended up in a hospital for altitude sickness. 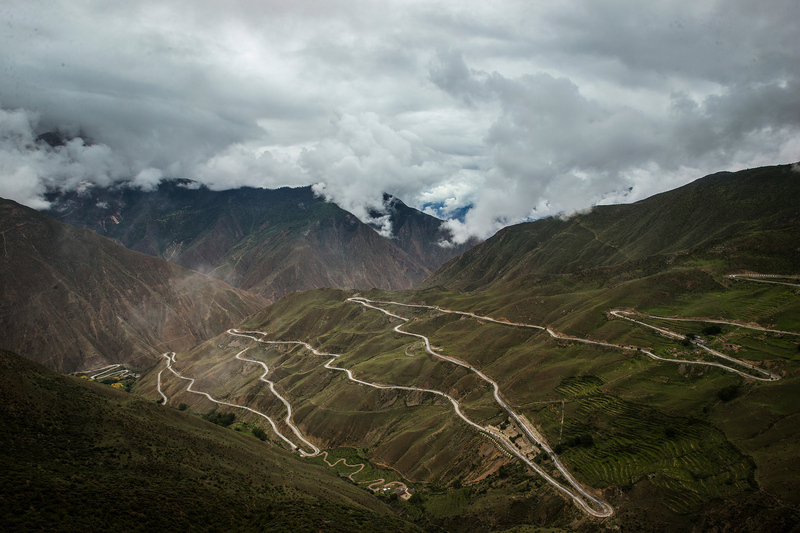 But if he worried about whether he’d make it through his 23-day shoot along one of the world’s most treacherous roads, he had a harder time imagining how his subjects, 42-year-old Wang Chao and his 12-year-old son Runxi (who had never been at this high an altitude before), would complete the 1,300-mile trip entirely on their bicyles, as they had planned. Chinese parents are known for being laser-focused on their children’s achievements. Generally, that entails making sure they spend a lot of time indoors studying. But Wang Chao, a gym owner and fitness enthusiast who has raised Runxi since divorcing his mother nine years ago, applies the diehard approach some of his peers use for test prep and poetry memorization instead to long-distance running and other feats of athletic endurance. He worries his son’s school doesn’t put enough emphasis on physical education, and that too much time in the classroom will make his son unhealthy and weak. Runxi is a good student, but, says Chao, “You don’t want them to be nerds.” Together, the father and son have run more than 30 half and full marathons. Runxi finished his first full marathon in Berlin when he was 10. Still, the trip by bike from Chengdu to Lhasa took special preparation. Three months before they left, Chao began Runxi’s training by having him bike alone to school each day. The boy’s school found the regimen unnerving and asked Chao to sign a liability waiver. 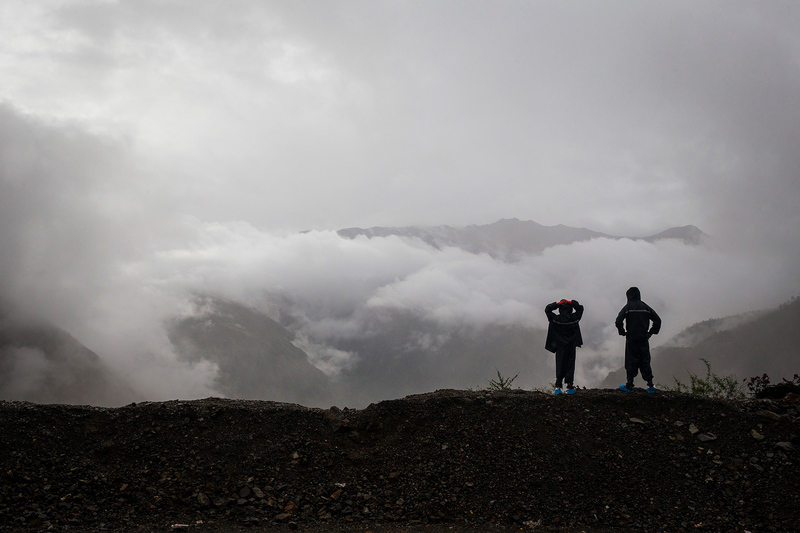 On weekends, Chao took Runxi for 10-mile rides up mountains not far from their home in Chengdu. When Wang first learned of Chao and Runxi’s plans, he was interested primarily in the physical difficulty of the undertaking. He’d heard from a relative that only about 10 percent of people who attempt to get from Chengdu to Lhasa by bike make it without hitching a ride for at least part of the route. 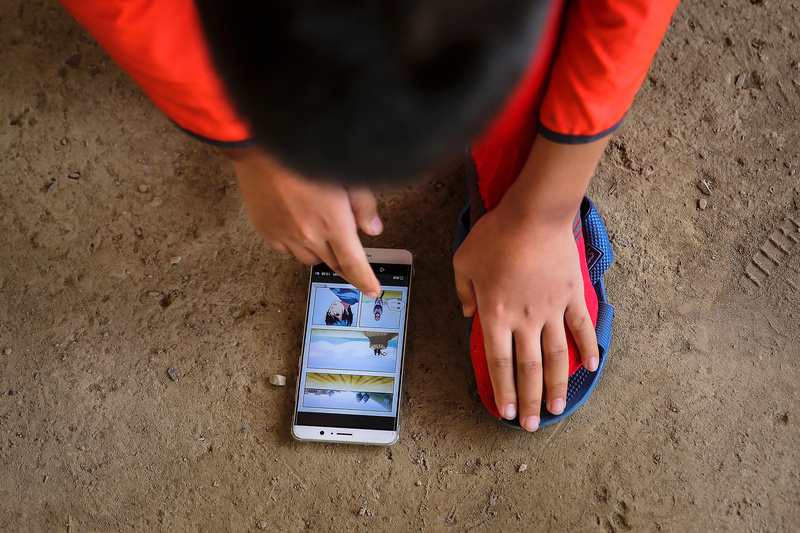 He also looked forward to getting to know Chao and Runxi as he photographed their journey. But while he and Chao became close, Runxi remained distant. 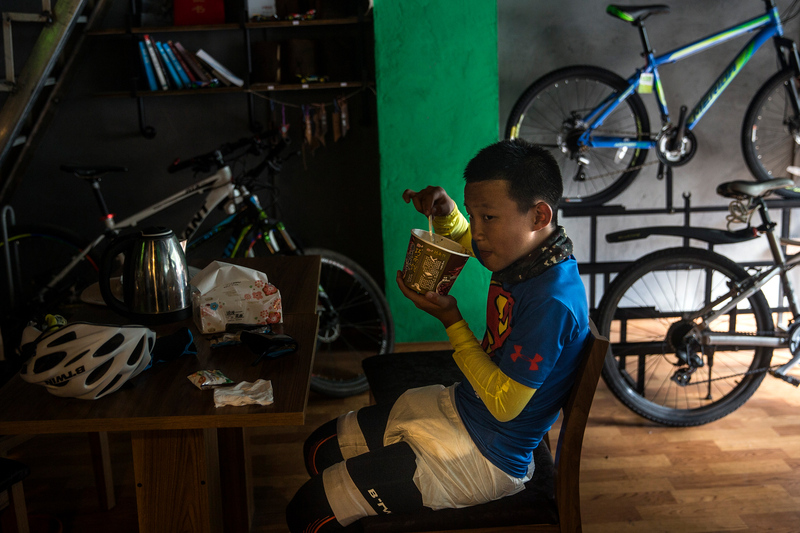 Wang says the child “probably had a lot of bottled-up rebellion in him, and he took it out on me.” The father and son had what Wang describes as an “absolute leader/follower relationship.” On difficult parts of the trip, Runxi would sometimes cry and ask to stop biking. His father responded by simply biking away, leaving him to fend for himself.